So, you’ve heard that WITworks is where you’ll find co-ops and jobs or learn about events being hosted by CO-OPS + CAREERS. But what is WITworks exactly? We hear this question a lot. 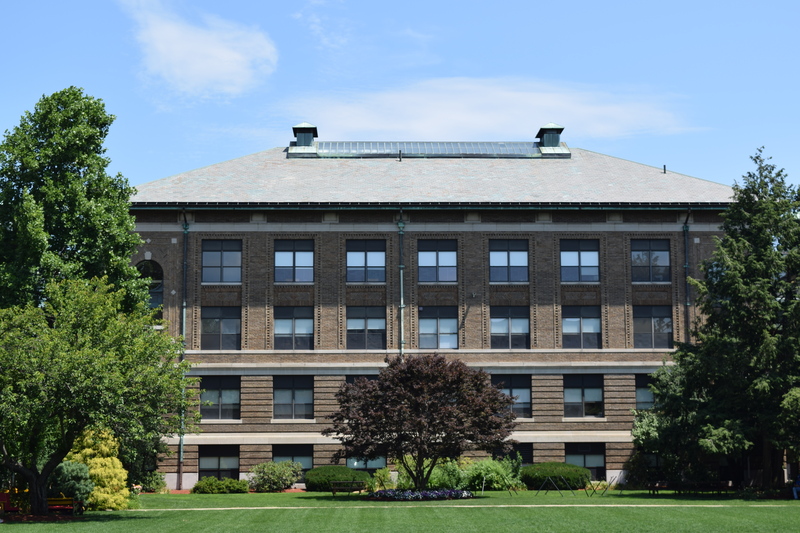 WITworks is Wentworth’s on campus job board where employers specifically looking to hire Wentworth student’s post co-ops and jobs. Ever position posted is reviewed by a member of the CO-OP + CAREERS team and we do not accept any postings that don’t meet our standards. 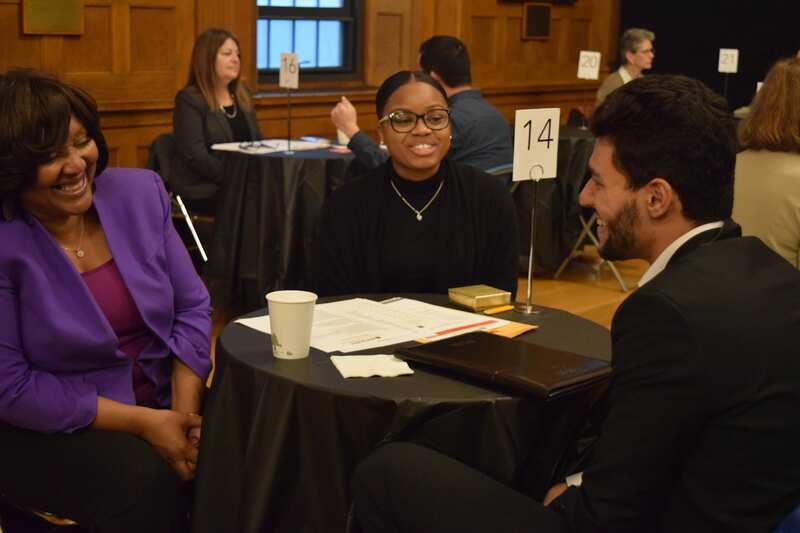 WITworks is also where you can find and register to attend networking events organized by CO-OPS + CAREERS, like the upcoming CO-OP + CAREER Fair, and workshops like Employer Panels. To access WITworks head over to https://wit-csm.symplicity.com/students and login using your Wentworth email and network password (I recommend you use Google Chrome or Firefox to access the system). Or, download the WITworks App “Symplicity Jobs and Careers” on the App Store and Google Play. For those curious readers wondering why it’s not called the “WITworks App”, the system is created by Symplicity, an industry leader in providing support tools for career services around the world. 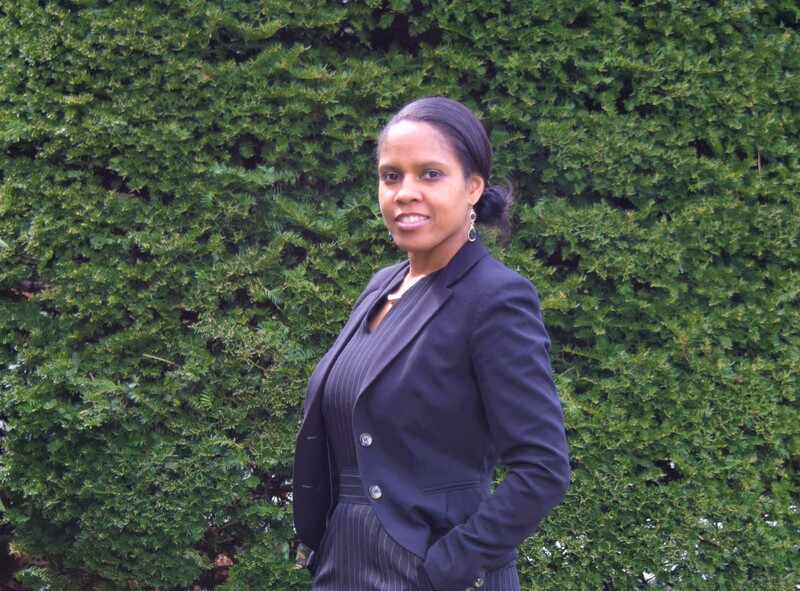 That said, WITworks is managed by me, and my role is dedicated to ensuring the system works properly for students, employers, and the Co-op + Career Advisors. Here are some tips on using the system and finding what you need. 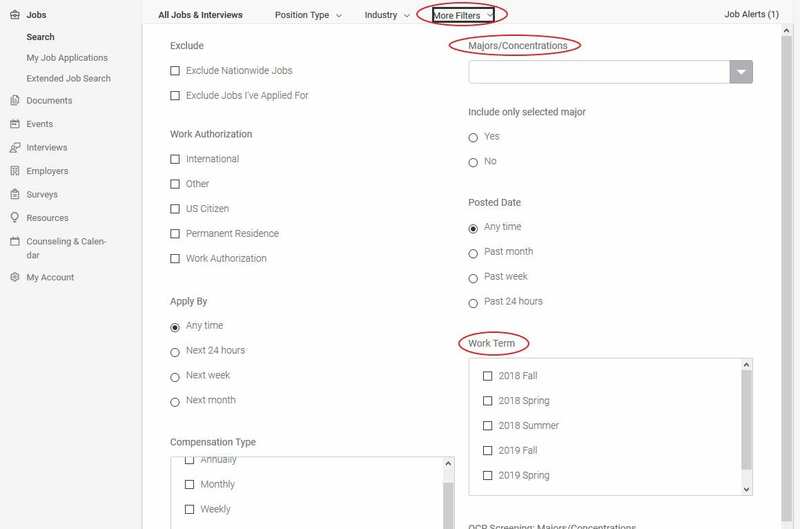 You can customize your search using filters and save your search, so the system emails you when new jobs get posted. 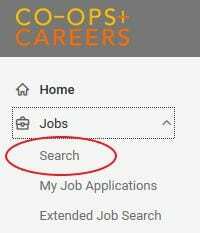 To search for co-ops or jobs, select Jobs > Search from the left-hand menu. To access search filters from the WITWorks Jobs screen select “See all jobs”. *Note: employers do not use “Industry” in their job postings, therefore the most relevant jobs will be found by searching your major. Do not select an industry in your search. Your saved search will be added to your “Job Alerts”. To edit the notification settings of your new saved search, select “Job Alerts” and change the frequency an alert is sent to you using the drop-down menu. You can also click on this saved “Job Alert” to replicate the search criteria the next time you login to search. 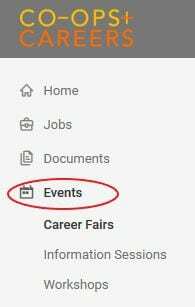 To search for events, select Events from the left-hand menu. Then select the event type you are looking for. 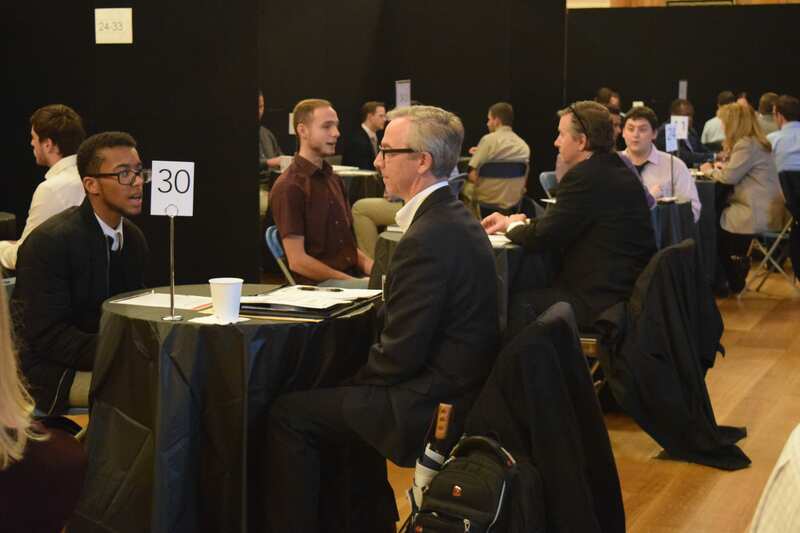 Register from the event listing page or click on the event to learn more information like the location of the event or the employers attending. If you have questions about using WITworks I encourage you to stop by drop-in hours or make an appointment with your Co-op + Career Advisor. Or come see me at the Info Booth during Prep Week before the CO-OP + CAREER Fair. To make an appointment with your Co-op + Career Advisor call the front desk at 617 989 4101. Spring 2019 Drop In Hours: Monday, Tuedsday, and Wednesday 1:30pm – 4:0pm while classes are in session. Bringing your LinkedIn profile to an All-Star (or complete) level is important because profiles that are complete show up higher in search results. If you want to be found by recruiters, fill out your entire profile. It’s important not only to complete your profile but to include key words that recruiters are searching for. Check out the key words employers are using in relevant job postings for some ideas. 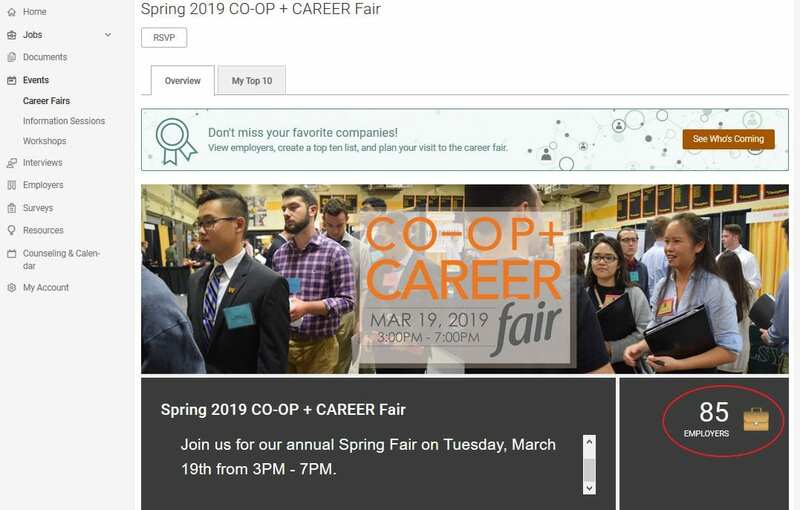 LinkedIn search results show your name, photo, and headline so it is important to include a professional photo (visit the LinkedIn photo booth at the next Wentworth Co-op + Career Fair!) and create a unique headline to grab peoples’ attention. When crafting your headline, think about where you hope to take your career as well the skills you have to offer. Headlines like, “Student at Wentworth” don’t give enough information or distinguish you from the 4,000 other Wentworth students. Adding your major or target industry helps but use the available 120 characters to take it a step further by sharing your skills or interests. 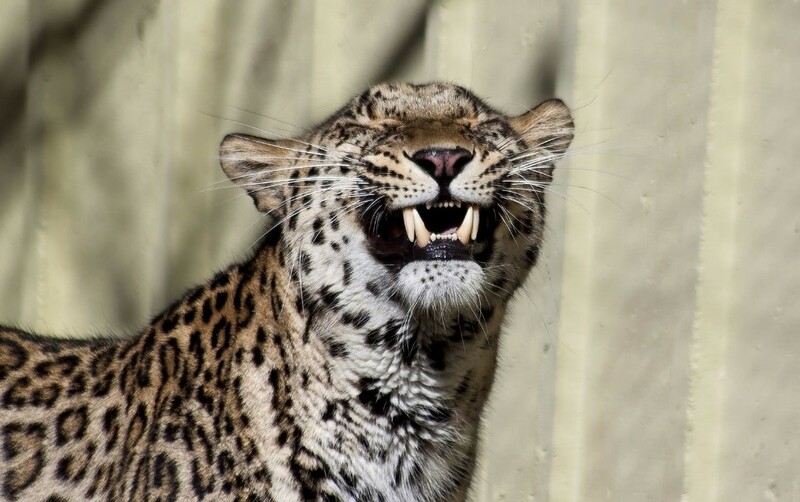 Be careful to avoid spelling errors and stay away from these overused LinkedIn buzzwords! Former NASA Intern. Future Investment Technologist. Electrical Engineering Student, Future Systems Engineer. Currently seeking full time position in logistics/supply chain or construction project management/estimating. Use your summary to add personality to your profile and tell your story. 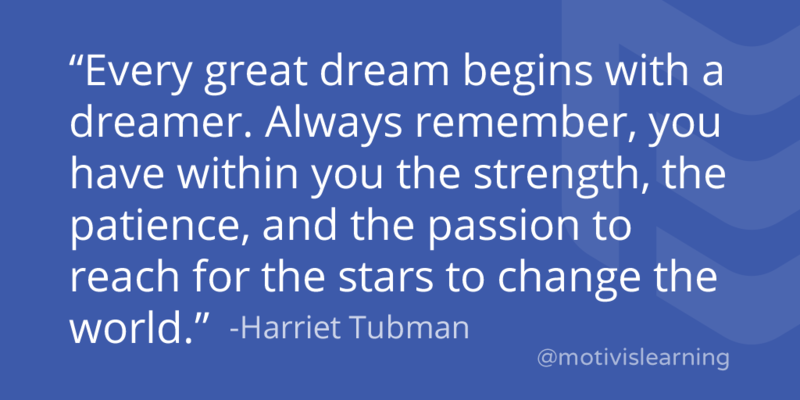 Use all 2,000 characters to talk about what you are passionate about and how that aligns with your career interests. Recruiters use key word searches to find relevant candidates. Profiles that include the key words recruiters are searching for show up higher in search results, however, an overabundance of repeated words may get your profile filtered out as spam. When writing your summary, keep in mind that viewers only see the first two lines of your summary unless they select, “See more”. 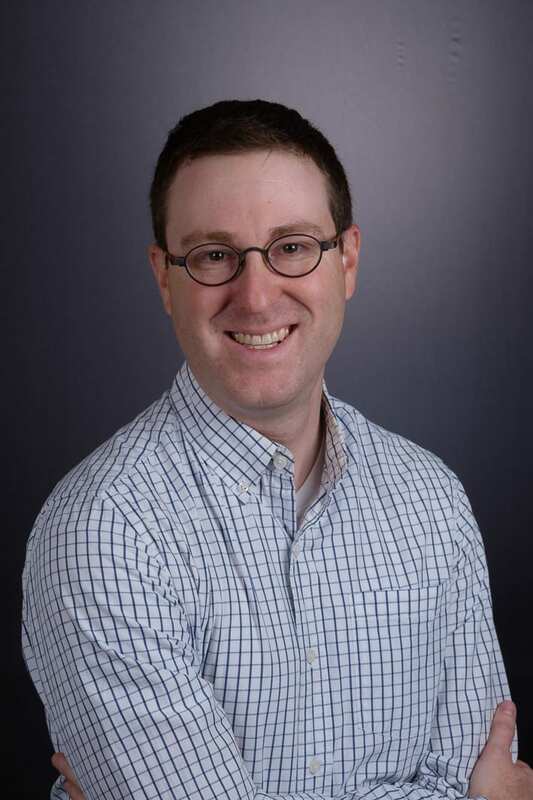 Check out summaries of co-op colleagues you admire or look up alumni profiles for ideas. What are your key technical and non-technical skills? Now that your dream recruiter has found you and their interest is piqued, show them you have the necessary skills to encourage them to reach out. Include any co-ops or jobs in your experience section highlighting technical and transferable skills relevant to your target industry. Add skills, coursework, and projects. If you have a portfolio or personal website include the link in your summary section. Upload your resume to your summary section as well. Request recommendations from past colleagues, classmates, or professors. Join groups and follow relevant companies. These show up in your interest section. Update your LinkedIn profile every semester just like you would your resume. Add new projects, experiences, and skills you have gained. Once your LinkedIn profile is complete, add your URL to the contact information on your resume. But FIRST, make sure to remove that long stream of numbers after your name. Go to your profile and click on “Edit public profile & URL” in the upper right-hand corner. Next, visit the “Edit URL” section in the upper right-hand corner and click on the blue pencil next to your URL. Remove the numbers and make your URL unique to you! Once your profile is complete, make some connections! Connect with past and current colleagues, classmates, and professors. The number of relevant connections you have will help you show up higher in search results as well. According to LinkedIn, “The more connections you have, the more likely you will have a connection to the searcher” which helps you rank higher in their search. Personalize each connection request to remind people of how you know them or outline why you want to connect. LinkedIn is a fantastic tool so make sure you are taking advantage of it! Meet with your Co-op + Career Advisor to get help creating your profile or making connections. They can also give you feedback once it is completed. See our LinkedIn Guide for more suggestions. Build a 30 second pitch and practice it in the mirror so you come across relaxed and professional.